Nonprofit boards are governed by a series of obligations —some are clearly defined as legal responsibilities such as financial actions. Others, however, are less clearly defined and relate to people who are, in some way, associated with the organization. Guidelines to these diverse interactions are not typically archived in policies but are important to the overall professionalism of the board. They include consideration of its: board structure, internal operations, recruitment methods and leadership style. People will look first to the nonprofit board for guidance: * Most nonprofit organizations are relatively “flat” ones—staff members can be only a few organizational levels below the board. As a result, they become highly attentive to board actions and to the frequent director changes that take place on it. Their concerns center on how these changes may affect their positions, knowing that a new influential director may easily cause unfortunate disruptions, if the board is a weak one. Executive directors and board members need to be attuned to these concerns. In addition donors, especially foundations and business executives considering a board position, will often assess a board’s strength and dedication. This a routine step in a due diligence approach, since both vision and overviewing expertise are needed to successfully execute practical strategic and business plans. Refusing to take termination action on board members not attending meetings. Refusing to sue a local contractor who did not perform as agreed. Selecting a board chair on solely on the bases of personal appearance and personality. Delegating insufficient managerial responsibility to the CEO. 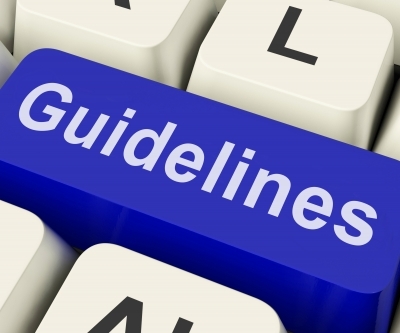 Conducting inadequate vetting processes because they are time consuming for directors. These types of circumstances seem to be in the DNA of volunteer boards that traditionally avoid any form of conflict that will impinge on their personal time or will cause conflict with other directors. Directors need to have passion for the organization’s mission. However, they also need to have the prudence to help the board perform with professionalism. Recruit positive influencers onto the nonprofit board: Every nonprofit board wants board candidates that have substantial interpersonal networks. But few will actively seek people with entrepreneurial outlooks and instincts. These persons only have modest patience with process, rarely refer to the policy manual for guidance and will urge the board to take action in a “get ready to fire and then correct for the necessary aiming.” For example, one person saved the solvency of a New York City nonprofit by leading it to have an annual dinner honoring a well-known person. The board only agreed to it when bankruptcy was the alternative. 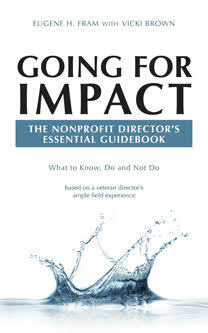 ← How Prepared Are Directors for the Challenges of the Nonprofit Culture?